Sega fans may remember a title from the early 90s that was a different take on the usual football games called Mutant League Football. The title was built using the Madden '93 game engine, but it featured the kind of arcade-style football action that would later inspire titles like NFL Blitz. 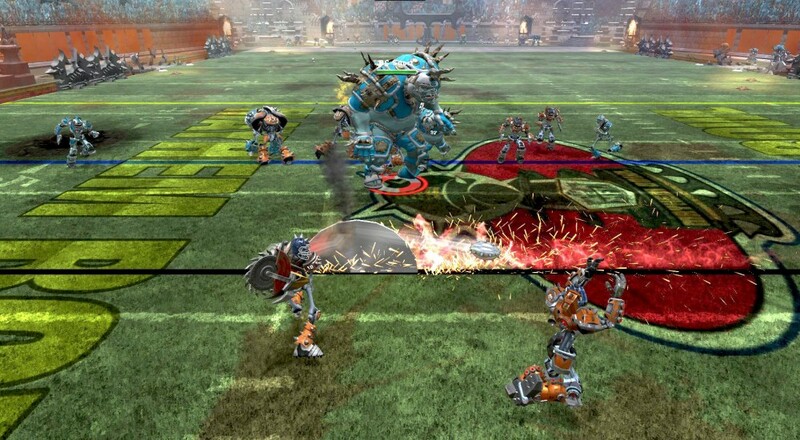 In honor of its 20th anniversary, the original creator and lead designer, Michael Mendheim, is working to revive the title under a new name, Mutant Football League, for the modern console generation. The big selling point of Mutant Football League is the brutal way you can take down the other team. Tackle another player just right and they may be going off the field in a series of Ziploc bags. You can even take out the refs, though there are penalties for such things. Along with "Nasty Audibles," which include plays like having your runningback pull out a chainsaw and go after the opposing team, and players getting fitted with brass knuckles, hand grenades, clubs, and other weapons of destruction, you'll have to contend with the playing field itself. From land mines to lava flows, nowhere is safe. Here's the best news: all of this destructive mayhem can be done with up to four people! You and three of your buddies can all join up to face off against an AI team and proceed to kick, stomp, and crush your way to victory. For now, four player local co-op is supported in whatever the title's "pickup game" mode will be, with online co-op and possibly combo co-op getting added on before release. The full season mode will support four player couch co-op, and online co-op may be a possibility as well. The game just hit Steam Greenlight a few days back and its already looking like its on its way to getting the green thumbs up (but a few more votes never hurt). If you're headed to PAX West this weekend, you can swing by Booth #7010 to check out a demo of the game and pick up some swag as well. Page created in 1.1408 seconds.